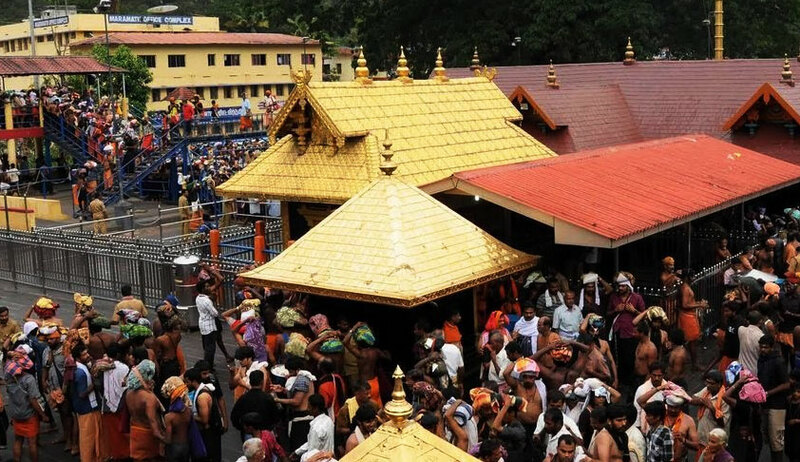 Opposing the plea seeking prohibition of entry of non-Hindus in Sabarimala temple, the Kerala Government has stated before the Kerala High Court that Sabarimala is a secular temple and entry of devotees cannot be restricted on the ground of religion. TG Mohandas, a lawyer, had filed a writ petition seeking to regulate the entry of non-Hindu and non-idol worshipers into the shrine of Lord Ayyappa at Sabarimala. He had also sought a declaration from the court that permitting entry of non-Hindu and non-idol worshipers into the sannidhanam of Lord Ayyappa is violative of Rule 3 framed under Kerala Places of Public Worship (Authorization of Entry) Act, 1965. Last week, the bench of Justice PR Ramachandra Menon and Justice Devan Ramachandran had orally observed that Sabarimala belonged to all and not just Hindus. However, the bench had adjourned the matter and sought response of the state, in this regard. The government through its State Attorney KV Sohan filed its preliminary objection today. It also mentions the importance of Vavar Nada at Sabarimala and also highlights the fact that Peta Thullal, starts from the Vavar mosque. It also highlighted that Harivarasanam song which is played in the temple is sung by KJ Yesudas, a Christian by religion. “Several Christians and Muslims are devotees of Sabarimala Ayyappa Temple and conduct pilgrimage at Sabarimala every year,” it said. It also added that it is a ‘debatable fact’ that temple was a worship place for tribals. The government also submitted that there is a school of thought that it was a Buddhist temple. The government also submitted that Muslim and Christian organisations, Wakf Board and Vavar Trust are to be heard in this case.